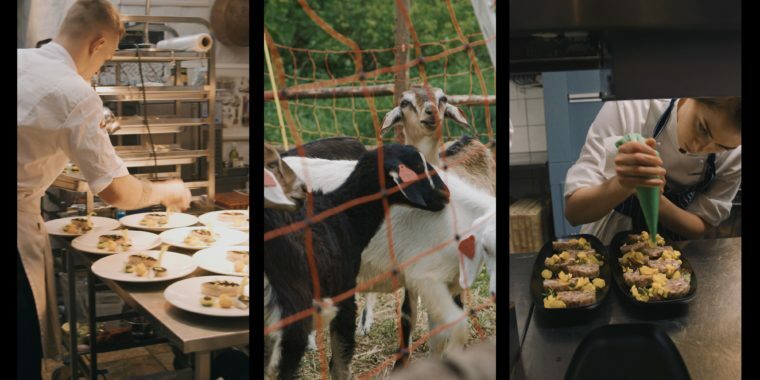 ‘A day in the life’ of the kitchens of some of Estonia’s top restaurants. What happens in the engine room of a restaurant once you’ve placed your order? This film shows us the ‘hidden places’ where diners rarely go, with all the stress and passion that goes into making great food. Who does what and where and how in an often cramped room at 35 C. When and what do chefs eat, what are their thoughts about restaurants, food, food fads and fashions, money – and life. Why do they do the job they do? Toomas Lääts, Rene Uusmees, Dmitri Demjanov, Dmitri Rooz, Märt Metsallik, Ott Tomik – six head chefs shown simultaneously on a 3-way split screen. Watch 90 minutes on screen, get four and a half hours of exciting action! Chefs cooking, not for reality TV, but for real.